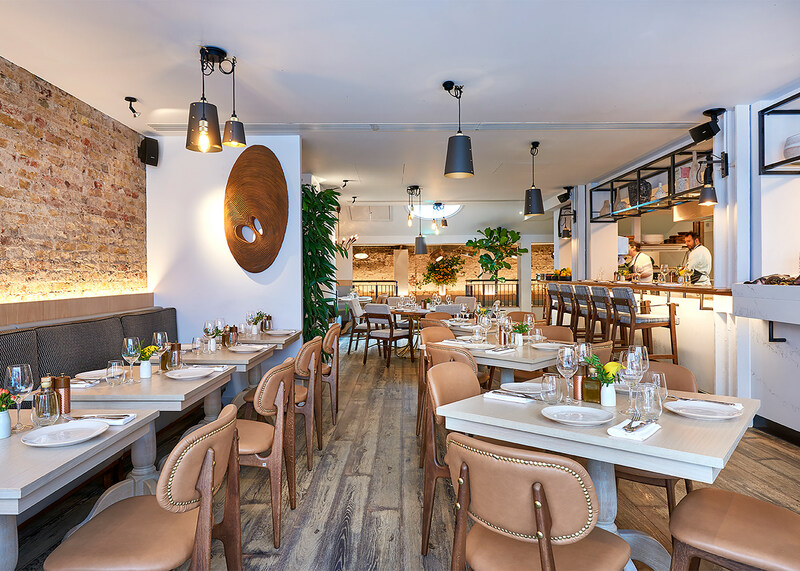 Meraki is a contemporary Greek restaurant in Fitzrovia, inspired by island life but with a refined execution. 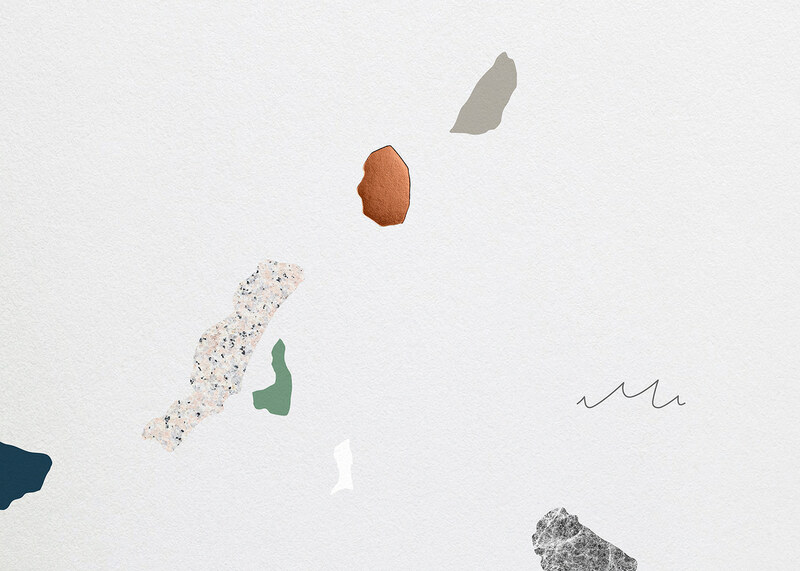 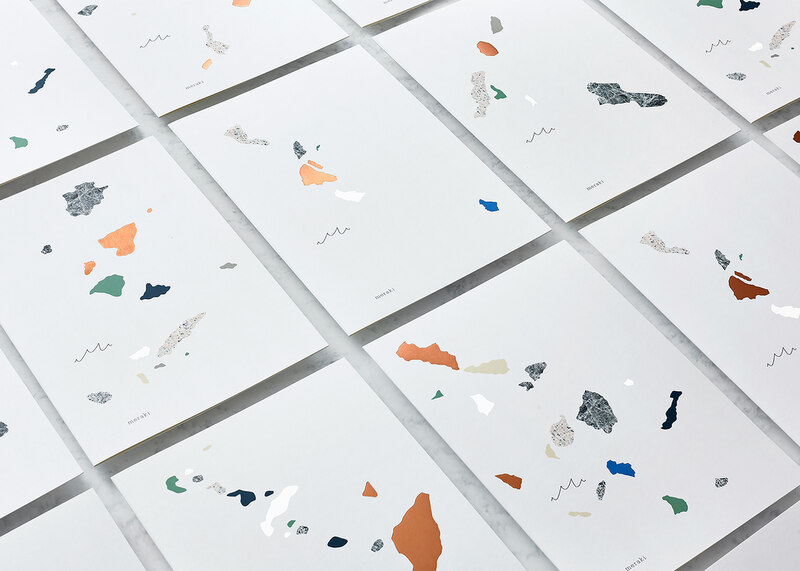 There are six key island formations in Greece and this became the inspiration for the menu designs, created using a medley of finishes and textures, to subtly reflect terrazzo. Five of the formations are used on the food menus with the sixth being used on the wine menu. 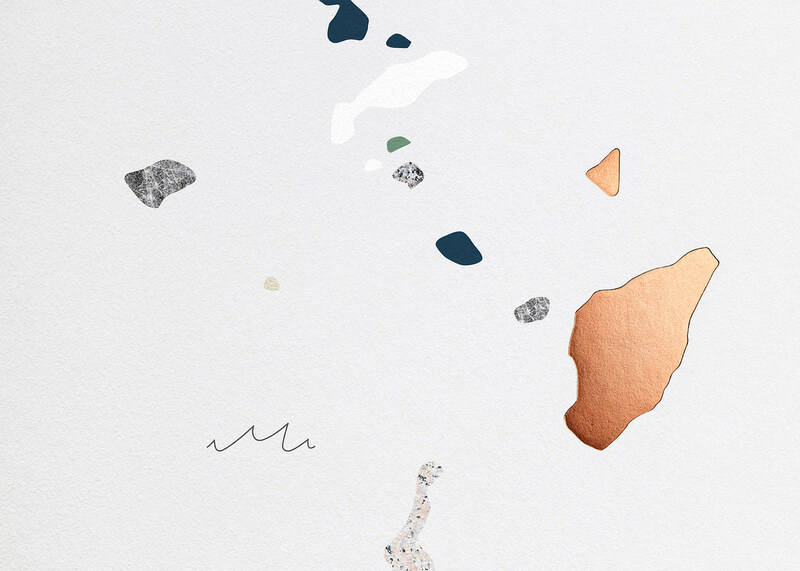 The M of Meraki lent itself to representing the sea and therefore works in both the context of the islands but also as a pattern in its own right. 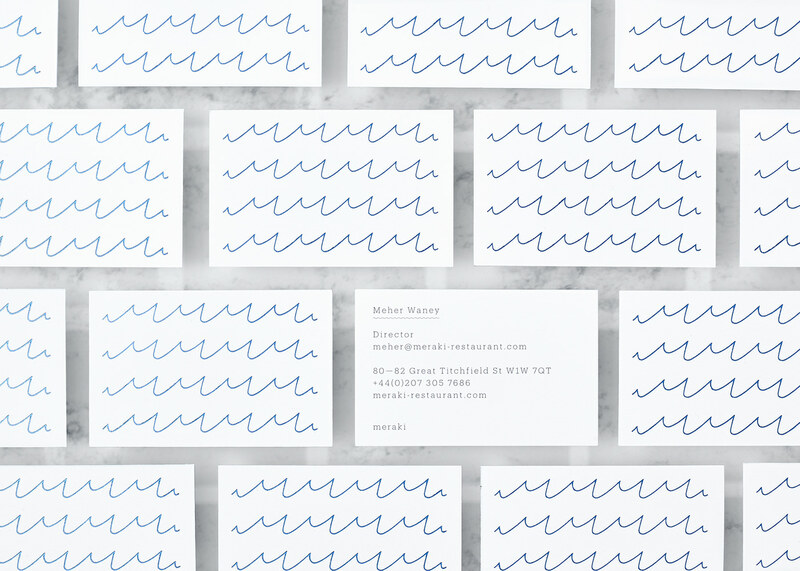 As a predominantly fish restaurant the emphasis on the sea was important. 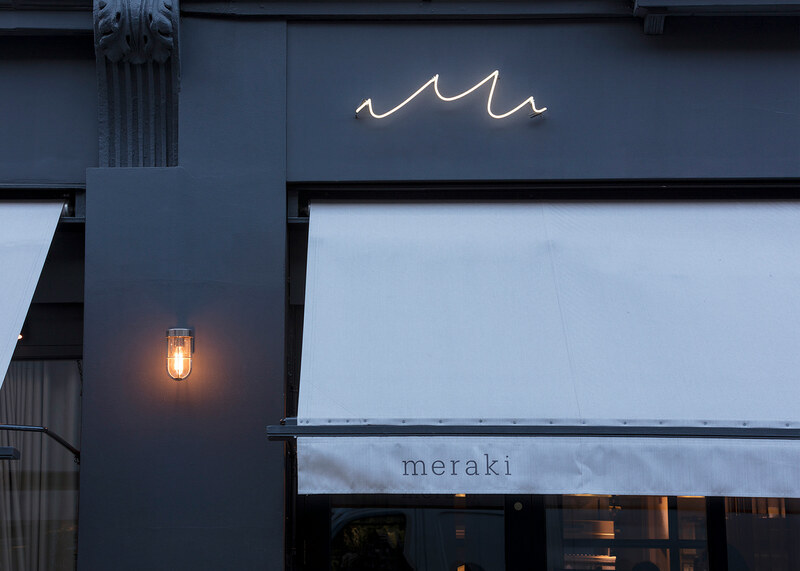 The exterior of the restaurant is a dark navy and has traditional architectural elements, we commissioned the 'M' to be made out of bright white neon to contrast with this. 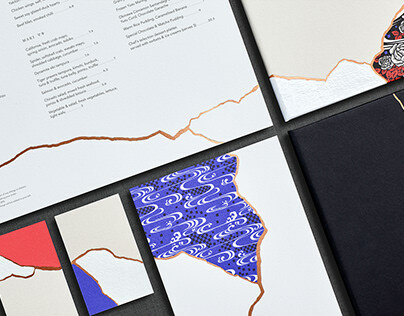 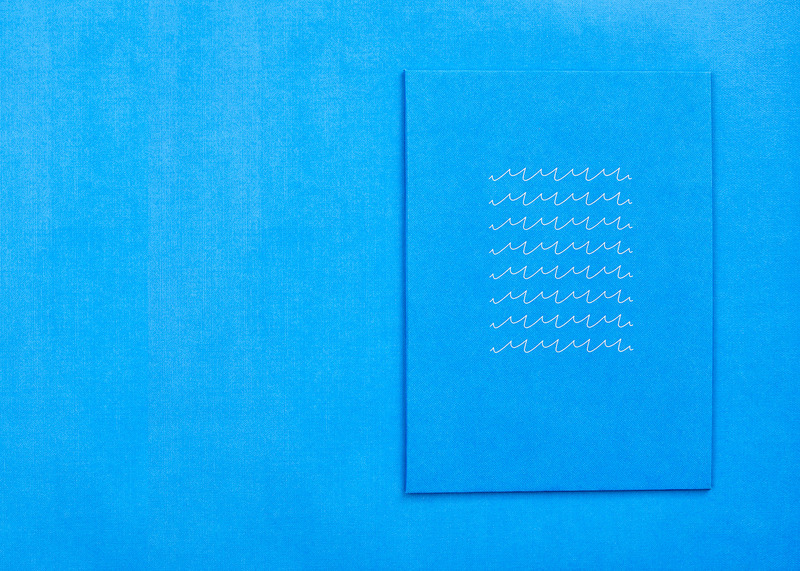 Materials were key, from the bright white textured menu paper (Zen from G F Smith) which emulated Greek architecture to the vibrant blue paper used on the bar menus, evocative of Greek church roofs and the mediterranean sea. 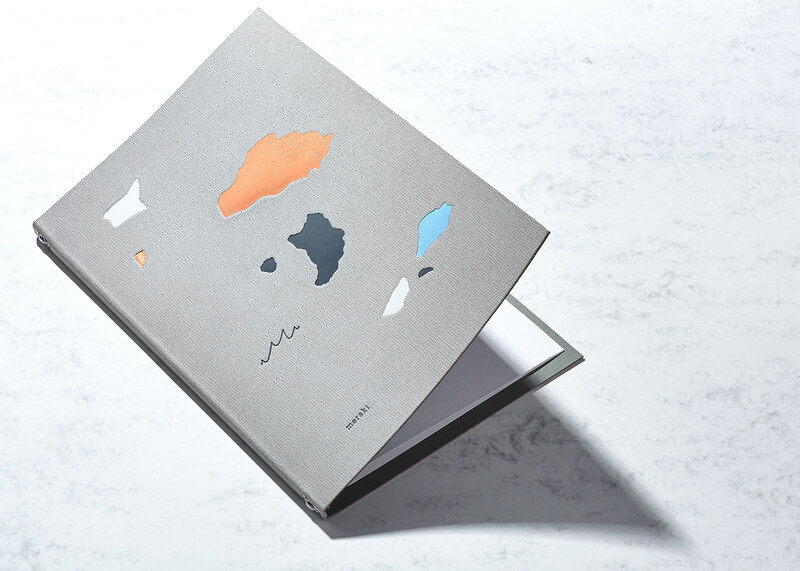 A pale grey leather was used for the wine menus to reflect the interiors. 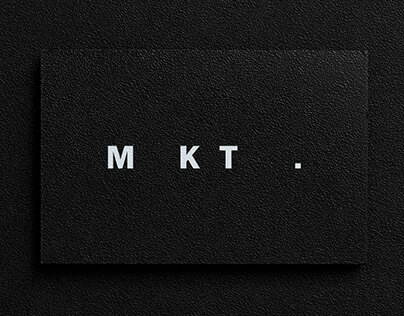 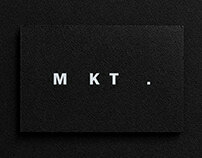 The 'M' is coupled with meraki typeset in Produkt by Commercial Type, chosen for it's attractive but functional quality.